This beautifully illustrated and informative book takes the reader on a journey both through the landscape of Indonesia and also back through Indonesia’s past. It weaves a spellbinding experience that will take many of us through memories of past trips we have taken and will also entice us to explore parts of Indonesia where we have not yet ventured … His journey is told through personal anecdotes that link directly to historical observations and insight, accompanied on almost every page by often stunning photos taken by him en route. This is a book that will delight, entice and inform both newcomers to Indonesia and old hands alike. Interspersed with stunning full colour photography, Archipelago: A Journey Across Indonesia is an armchair traveller’s delight. 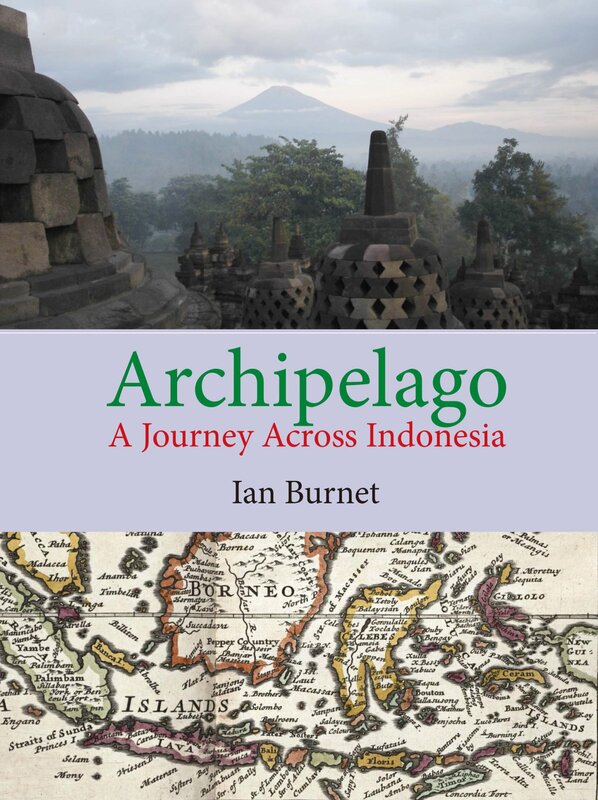 Author Ian Burnet recounts his journey across the archipelago nation, as well as the heritage and culture of peoples who have made it their home across the centuries. The next best thing to touring Indonesia in person, Archipelago: A Journey Across Indonesia is a “must read” for travel literature connoisseurs. The book’s scope seems impossibly ambitious, yet it manages to give us within just 175 pages a sweeping kaleidoscopic view of all the cultures that have ever washed up on Indonesia’s shores … Archipelago, both as an illustrated history and an informative travel book, will delight historians,, newcomers to the country, travelogue readers, as well as both bonafide and armchair travellers. A comprehensive history of Indonesia would take several volumes. What Burnet has uniquely and handily accomplished in offering fragments of the country’s history related to his journey, is to produce an engaging and enticing piece of modern travel literature.